You are currently browsing the tag archive for the ‘Mimikri’ tag. Welcome to my latest weekend shopping excursion! Mimikri has a number of new releases, perfect for whiling away balmy sunday afternoons. 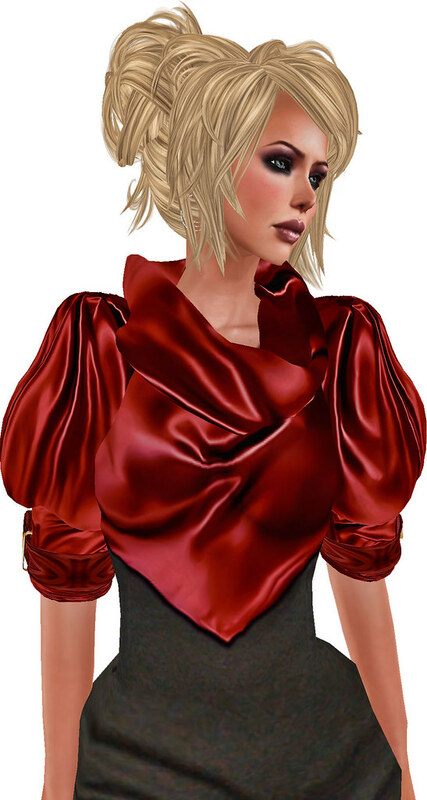 A beautiful dress and cloak, magnificent scenery, an excellent cause…..
Mimikri has created an unbelievable dress and matching cloak (available seperately) that I will show you here. These photographs were taken at Virtual Africa, an open savannah wildlife experience inSL, where Uthango Social Investments (a registered nonprofit in South Africa) pursues access to virtual worlds. What better way to escape than be the filling in a hamburger? Mini tramp will get the blood pounding and heart racing, for sure! Or some old fashioned hopscotch – yay me! I won! I often neglect the rear view of a pretty frock. Here you can see the same attention to detail in this lovely ensemble from Mimikri. – for all your fun and games needs! I stumbled upon a great store, Reale, some time back and it’s now a firm favourite. Mallu Mayo is the creator behind this Label – her designs are detailed, lavish, high quality textures and piecing, as well as cute! Here is her latest release, in sky blue. This is a perfect combination for fine country walks, or city shopping. And of course, come in a full range of summery colours. Mimikri have some whimsical floral themed dresses, and I have displayed two of them here. This dress, appropriately named Blossom, has a delightfully froufrou effect. I’ve teamed it with a VG Republic beater tank in pinky. Dutch Touch has released a range of beautiful skins, exclusive to The Deck. I absolutely loved the Cream range. I am shown here wearing ‘The Deck Cream MU1.